Since me and my best-friend are celebrating our birthdays in the month of September, we thought of treating our friends for dinner and play bowling afterwards. We’re both on a budget so we decided to spend it at Fazoli’s in Eastwood. We arrived in the place at around 8:30 PM. We went straight to the restaurant since most of us were already hungry. We ordered right away. It was bit crowded since there was an event in Eastwood. 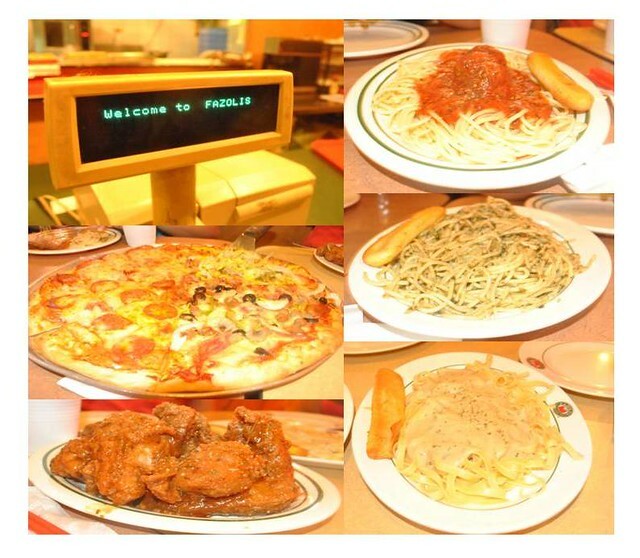 And here’s what we had, Pasta with meatballs, Pasta Al Pesto, Pasta Alfredo, All Four Flavours Pizza and Italian Chicken. After our enjoyable dinner, we’ve decided to go bowling. When we arrived at the Paeng’s Bowling Center we still waited for our turn to play because we were still 8th on the list. After an hour, it’s now our turn to play! 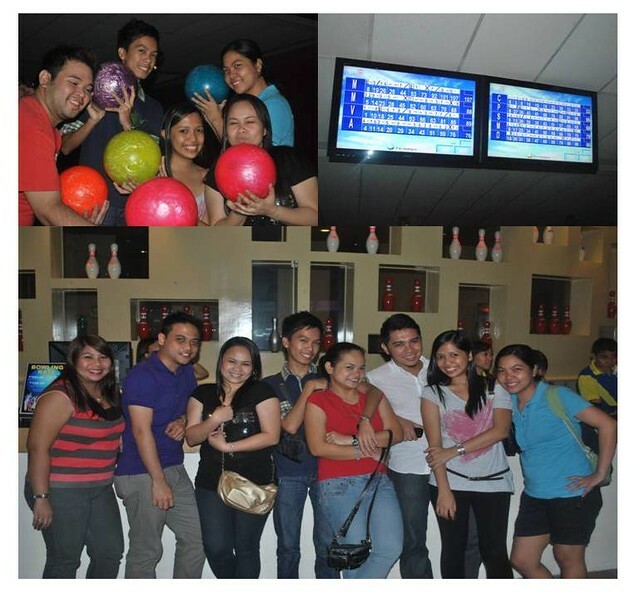 We availed 2 bowling lanes for the 2 teams; Team A (Marx, Mara, Vanessa and Adam) & Team B (Cherry, Pat, Steph, Madel and Darren). Most of my friends were first-timers and we really enjoyed it. Si Madel na laging strike ay isa palang PE Major and has a bowling lane in their house, hobby lang. Lol! Madel got the highest score on Game 1 while I got the highest score on Game 2. The technique is wag “daw” sasabay kay Cherry kasi di ka makakapagfocus. Hahaha! Afterwards, our manic depressive friend (according to Vanessa and Mara) – Darren wanted to drink sa lugar na maingay. So we went to Metrowalk. Some wanted Chicago KTV however, it was too expensive so we ended up at Yohoo! We ended the night happy and fun, there are some side dramas and may nalasing na nagsuka sa CR! Hehehe… Until the next fun hang out! recently tried the pesto and twas good.